With all the talk of repealing the Affordable Care Act, quietly in Oregon there are a group medical providers switching back to the old way of providing health care that bypasses the current insurance industrial complex. The Canby Clinic is one of 27 licensed practices in the state that offers monthly retainers to its patients rather than being reimbursed through insurance providers. Dr. Kris Ritchie, a naturopathic doctor who works at the Canby Clinic, a self-described health care clinic that provides "a range of naturopathic approaches," says direct-pay practices offer affordable health care services, quicker access to doctors and longer appointment times when necessary. "In the insurance model, health care providers are paid a set fee per visit and each service rendered," Ritchie said. "There is no reimbursement for time spent with a patient, conducting patient research, charting and other support tasks that comprise a patient's visit. This means doctors need to see as many patients as possible, in a shorter amount of time, to earn revenue to pay for clinic expenses. With few exceptions, doctors are locked into addressing only one medical condition in a 24 hr period, because that is all your insurance company will reimburse them for. This means a patient has to repeatedly return to the clinic to address each of their medical issues, many of which could have been addressed in one visit." Since late 2012, twenty-seven clinics in Oregon switched to membership models. The majority of the clinics are in the Portland metro area, but can also be found in Albany, Bend, Burns, Carlton, Canby, Eugene, Medford, and Prineville. Direct-pay retainer practices are overseen by the Oregon Insurance Division for consumer protection, said Jake Sunderland, public information officer for the Department of Consumer and Business Services for the Oregon Insurance Division. "These have been around for a while (2011 in Oregon). I wouldn't say this model is specifically related to any one health-care law," Sunderland said. "Anecdotally, what I see in news stories about it, is that doctors are trying to reduce the administrative load they have when dealing with insurance companies, and get back to 'basics' why they went into the medical field. Again, anecdotally, I have a family member who is a medical provider who would love to reduce their administrative load. These types of practices can be pretty diverse; I have seen them crafted to be boutique/luxury medical providers. And even had one of my own primary care doctors (in another state) offer this type of retainer service as a way to get more personalized service as a patient. Members got his personal cell phone number, could text him 24/7 and all funds from his retainer plan went to a local non-profit." It's a monthly retainer, which is not anything new — it's how things used to be before insurance hit the scene hard in 1960s and 1970s, Ritchie said. "It's a little like insurance but there is no deductible and no co-pays, in our clinic anyways. The (other) clinics in Oregon all are structured a little differently," Ritchie said "In our case, what it costs is based on your age." The Canby Clinic charges patients 0-19 years old $25 per month with their parents' permission, 18-30-year-olds pay $50 per month, 31-44-year-olds pay $75, and patients 45 years old and older pay $100 each month. 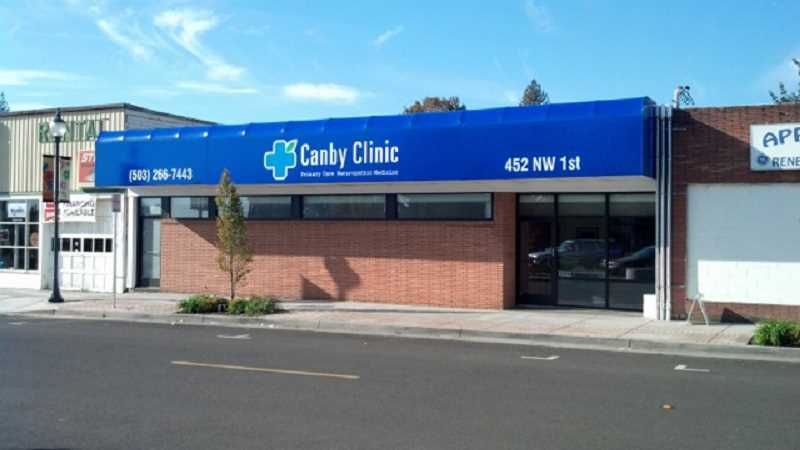 The Canby Clinic does have an M.D. on staff — Dr. Harris Waters — who is able to write traditional prescriptions. "I'm from the conventional medicine side," Waters said. "Insurance has only been around the last 40 years or so. You can't spend the time you need to spend on teaching people about diet and exercise, and spend time with them and get them to concentrate." Waters said he remembers a time when medical services were provided based on people and symptoms and not insurance systems. "When i was growing up that's the way we did it," he said. "I went to see my primary care doctor and you paid for your visit. That was the thing. If you google direct primary care it is growing. I think a lot of physicians feel in order to spend time with their patients, this model you can see your patients and don't have to turn it into an assembly line. You can deal with your patients and get them healthier. You don't have to see 5,000 patients a year. You can have 500 and take better care of them, giving them the time they need and time you need to look at their specific symptoms."